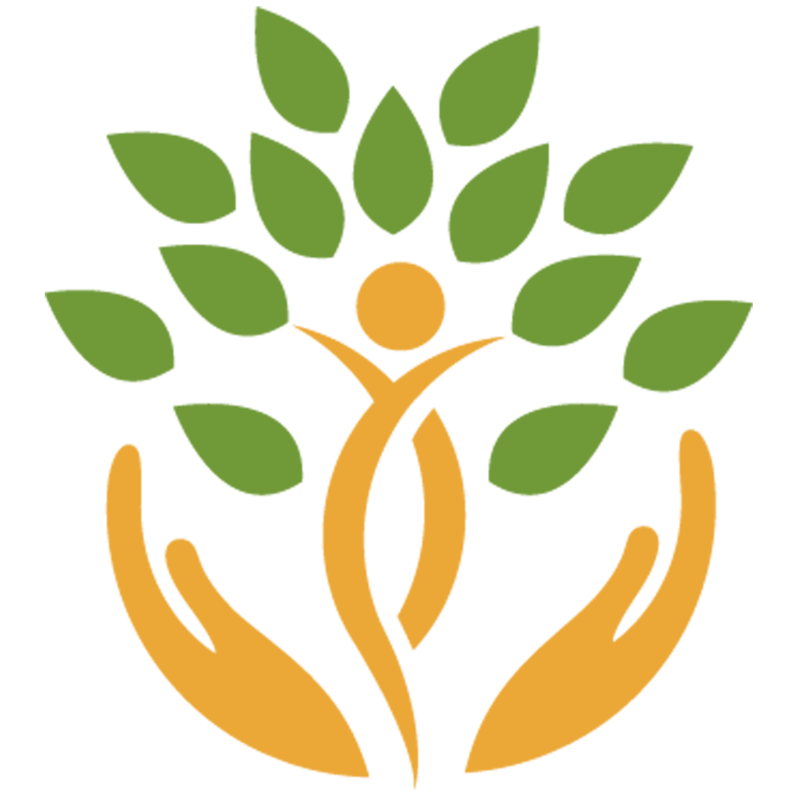 Panchkarma is a Program for the Mind, Body and Consciousness. 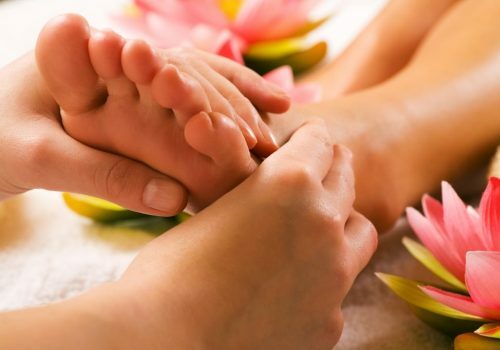 We provide a range of Panchkarma treatment programs which includes main procedures, pre and post Panchkarma procedures, specialized therapies and relaxing SPA treatments. Traditional synchronized full body massage in rhythmic and harmonic manner with warm medicated herbal oil. Benefits: Induces deep relaxation, Nourishes and Rejuvenate skin, improves physical consistency, liquefy and eliminate toxins. It is helpful in Vata related disorders, Low Energy, Stress & Muscular pain. 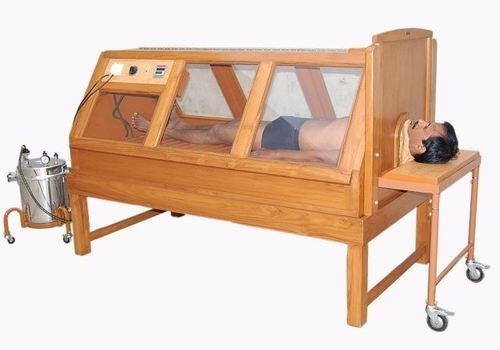 Herbalized Steam treatment of whole body with natural aroma of herbs which opens up the clogged channels at all levels and removes mala (toxic materials with sweat) from body. Benefits: Cleanses skin and body, maintains proper flow of energy and enhances flexibility of joints and muscles. 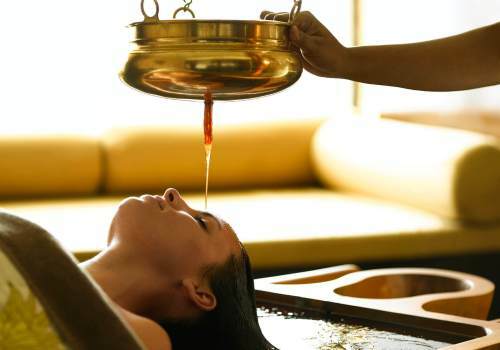 Shirodhara is a traditional deep relaxing technique of pouring 2-3 liters of Herbalized oil in form of continuous stream, on forehead in a rhythmic manner which pacifies and revitalizes Mind and Body. It has intense rejuvenating and anti-ageing effect, normalizes sleep pattern, improves memory and is so relaxing that you sleep or transcendent within 5-10 minutes on the treatment table itself. Benefits: Enhances memory & concentration, promotes mental clarity, normalizes sleep pattern and rejuvenates whole body. Also helpful in disorders like Anxiety, Insomnia, Overactive mind, Restlessness, Psychosomatic problems, Neurological disorders, Headaches and Hair problems. 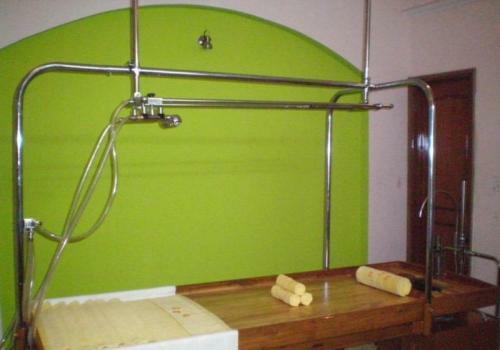 Bliss Ayurveda Health Village is doing Pizhichil by using a fully automatic soundless machine which pours several streams of 10 liters of Herbalized oil all over the body in a uniform manner with a simultaneous synchronized massage by two technicians which give profound relaxing, rejuvenating and deep Vata pacifying effects. This special Pizhichil helps soothe emotions and purifies mind and body. Benefits: Nourishes body tissues, Lubricates joints, enhances flexibility in body, Promotes mental relaxation, all benefits of Abhyanga and Swedana. Helpful in muscular and neural disorders, Arthritis, Degenerative problems, Paralysis and general weakness. SPA Skin Treatment is done by using herbalized Clay followed by cleansing with herbalized Milk then Rose petal face massage. 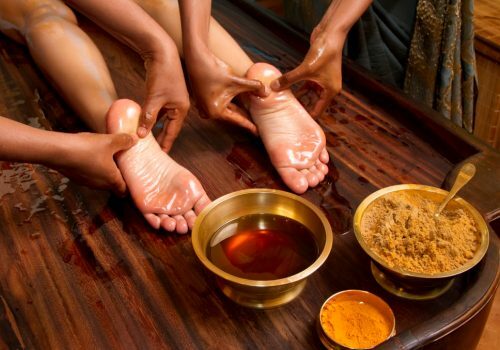 This is a unique and specialized treatment of Bliss Ayurveda Health Center that relaxes and rejuvenates whole body. 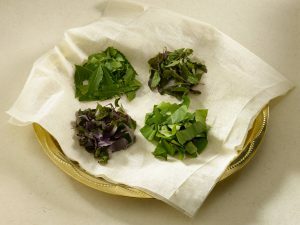 It is a highly rejuvenating treatment in which fresh herbal leaves are fried with several beneficial herbal ingredients (different herbal powders, herbal oil) and tied into cloth, dipped into warm medicated oil and used for massaging the body. Benefits: Cleanses up to deepest layers, normalizes inflammation and swelling. Helpful in Stiffness and pain in muscles & joints, Spondylitis, Slipped disc, Neuritis. A complete traditional Nasya involves administration of medicated oil through the nose which is preceded by head and face massage and herbal steam inhalation. Benefits: It cleanses accumulated toxins from sinuses, head and neck region. Detoxifies and rejuvenate nasal mucosa, gives glowing & healthy look to face. Helpful in Nasal Allergies, Rhinitis, Sinusitis, Nasal Polyps, Stiffness of the neck, Neurological dysfunctions, Eye problems and Migraine. 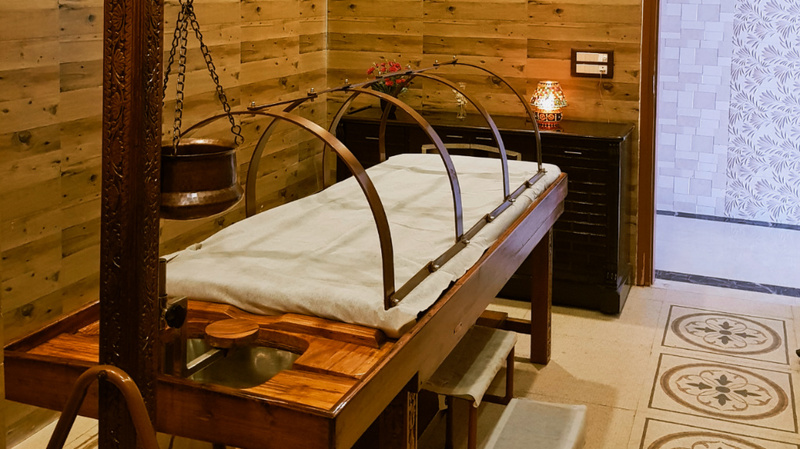 Marmas are vital points mentioned in Ayurveda that represent the centers of Vital Energies, and occupy a prominent place from structural, functional and psychological point of view. Marma massage stimulates these points and corrects the flow of energy through these points. Anti obesity massage with fat burning herbal paste. 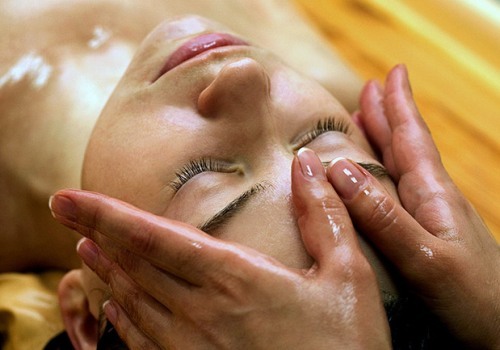 Eye cleansing and nourishing treatment. Pouring of herbalized water on whole body. Pleasant warm medicated oil reservoir on lumber area. It is helpful in low backache and problems of spine.